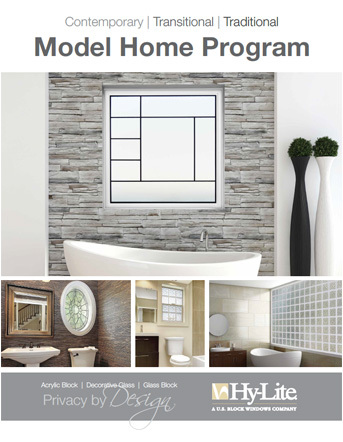 Hy-Lite is offering FREE windows for qualifying Model Homes and Design Centers. This is a new construction Model Home proposal and is intended to promote the products supplied by Hy-Lite, a U.S. Block Windows Company. builder windows requested for the specified model home or design center. A model home is a newly-constructed home that is used as a display by a builder to promote the sale of homes to potential buyers in a specified subdivision. Builders must install the Hy-Lite window supplied. -Windows must be provided through a distributor or dealer. A copy of the invoice must be included with this form in order to process the Model Home Program credit. Credits are provided directly to the distributor or dealer. -Model Home location must be provided: Street Address or Lot #, City, State, and Zip Code. -We reserve the right to limit quantity of windows per model. -Builder agrees to allow Hy-Lite access to photography of unit once installed. -Offer does not apply to any previous purchases.